I’ve just come in from the pouring rain. 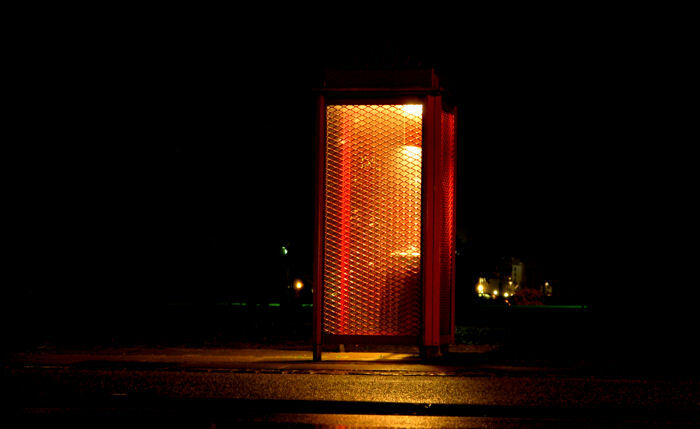 Shot this very lonely phone booth. Thought it looked kinda cool how the only light around comes from within the booth. In this cellfone age you don't see these very often! Great shot! This looks so unfamiliar yet welcoming. Very well spotted! cool rain shots. love the atmosphere of them. very dark but light. nice.